At Angler Management Charters, FISHING IS OUR PASSION! 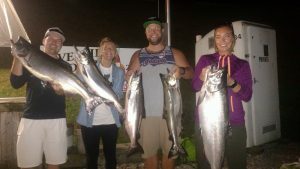 For the fishing enthusiasts of all ages, beautiful Lake Michigan Salmon Fishing (King Salmon, Coho Salmon, Lake Trout, Steelhead and Brown Trout) offers a thrilling experience and memories for a lifetime. 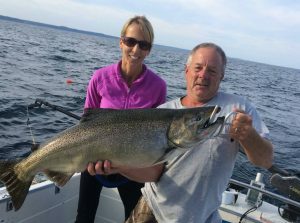 For over 20 years, Captain Brad Peterson has dedicated his time fishing the Great Lakes searching out the perfect spots in order to provide exceptional fishing trips. 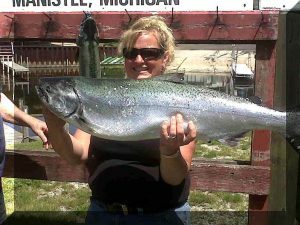 Captain Brad is notable Captain in Manistee, Michigan, he can get you to the big fish and catching is his specialty. When looking for a Michigan charter boat, having an experienced Captain is as important as a safe and sound charter boat. Angler Management Charters is the right Captain and boat. We strive to make your experience a safe, fun and memorable time that you will be proud to share with your family and friends! 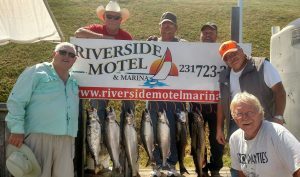 Come aboard Angler Management Charters and fish with a bird’s eye view!